Mercieca, M. Portelli, F. Camilleri, J. Buttigieg, J. Zammit, E.R. Okpokwu, D. Borg, B. Said, E. Gauci (M. Mifsud), D. Bellotti, F.J. Xuereb. Attard, J. Bajada, J. Xiberras, J. Camilleri, S. Sultana (G. Farrugia), S. Bonello (D. Bajada), M. Mamo, S.F. Bajada, A. Farrugia (K. Hili), T.M.F. Dos Santos, J.G. Vella. 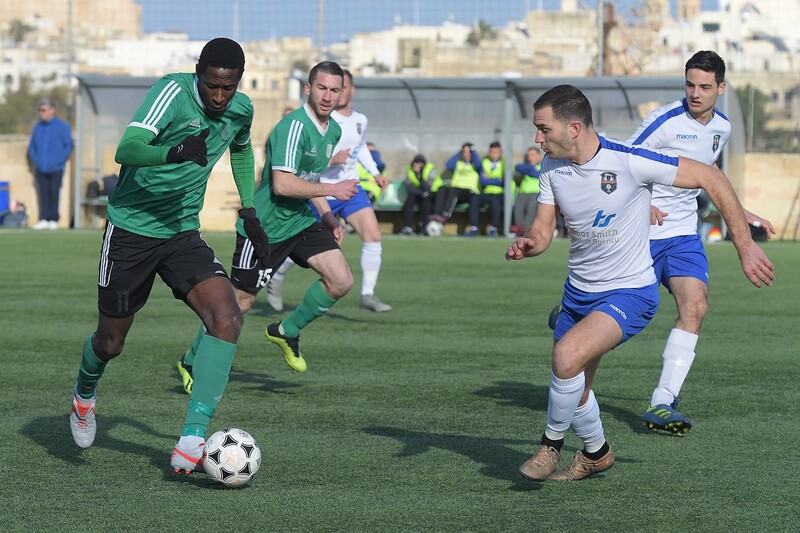 Sannat Lions opened a three point lead at the top of the table and also became sole leader on the table with a win with the odd goal from three against Xaghra United. This was the last match of Match-Day 12 of the campaign and the two sides took the field of play on equal points. In the matches between the two sides of the previous two rounds the two sides failed to obtain a win as the match of the first round ended in a 4-4 draw and the match from the second round ended in a draw of two goals. Thus, the two sides were aiming to obtain a win form this encounter to become the main favourites for the title of the category and promotion. The match lived up to the expectations as the two sides tried hard to achieve their objective. Sannat however seemed more offensive in their play and justified the win as they administered play with authority during the dying moments. Xaghra had a positive performance during the first half as they managed to neutralise Sannat’s initiative and were also dangerous each time that they produced play within Sannat’s territory. Xaghra however lost confidence when they conceded Sannat’s equaliser during the opening stages of the second period and found it extremely difficult to create serious opportunities to save the result. With this deserved win Sannat confirmed their potential to be among the favourites for the title, particularly because they have occupied the top of the table throughout the twelve match-days of the campaign so far. Sannat tried to put pressure on Xaghra’s defence form the very beginning and on 6 minutes a goal by Brandon Said, who placed behind Xaghra’s goalie with a low shot, was disallowed for an offside infringement. Xaghra replied on 15 minutes when the ball arrived to Silvan Bonello following a clearance form a free kick but Xaghra’s midfielder concluded badly from an ideal position. 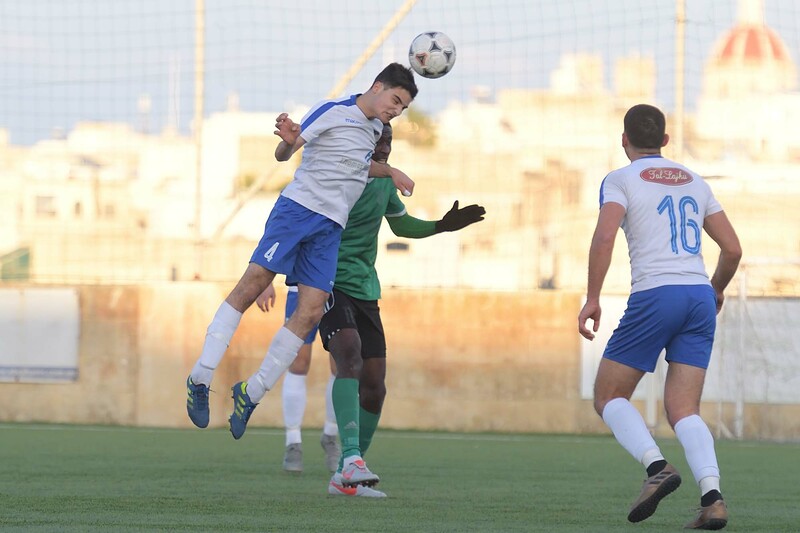 Three minutes later Sannat’s Dylan Bellotti, who was making a debut, had a shot that ended wide and on 27 minutes Xaghra were awarded a penalty for handling by Frankie Camilleri and Joseph George Vella opened the score and put Xaghra in the lead with his shot from the spot kick. Sannat replied two minutes later when Ebube Ralph Okpokwu entered Xaghra’s area from the right flank but from his low cross Joseph Zammit’s shot was deflected to a corner. On the half hour mark the same Zammit had an effort following a personal action that missed the target and in the first minute of stoppage time before half time Sannat’s Brandon Said had an attempt that was blocked to a corner and form the same corner action Dylan Bellotti’s shot ended wide. Sannat maintained their momentum from the initial stages of the second period and clinched the equaliser on 48 minutes through a strike form outside the area by Brandon Said that surprised Xaghra’s keeper. Xaghra replied through a strike by Marlon Mamo on 52 minutes that missed the target but on 63 minutes Sannat scored the goal that at the end decided the issue when the referee awarded a penalty for a foul by Xaghra’s Jonathan Xiberras on Joseph Zammit and Matthew Portelli converted form the spot kick. Xaghra‘s immediate reaction arrived through an attempt by substitute Kenny Hili following a cross by Johnny Camilleri that was blocked to a corner. Sannat however continued to express better play and on 69 minutes they could have added another goal but Joseph Zammit failed to connect to an inviting low cross by Ebube Ralph Okpokwu. 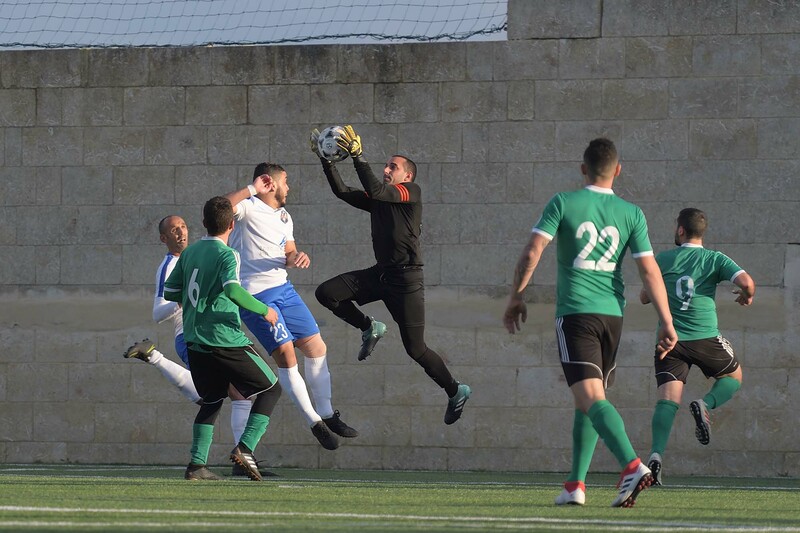 One minute later Xaghra’s Joseph George Vella had a shot that was well saved by goalie Courtney Mercieca and on 73 minutes Sannat went again close to scoring but an effort by Fabian Xuereb following a corner action was blocked by the defence. On 78 minutes Xaghra’s Thiago Melo Dos Santos had a header following a corner kick by Joseph George Vella that ended wide and two minutes later Sannat were unlucky when a free kick by Josiah Buttigieg ended on the crossbar and from the rebound two consecutive attempts by Brandon said were blocked by the defence from the goalmouth. 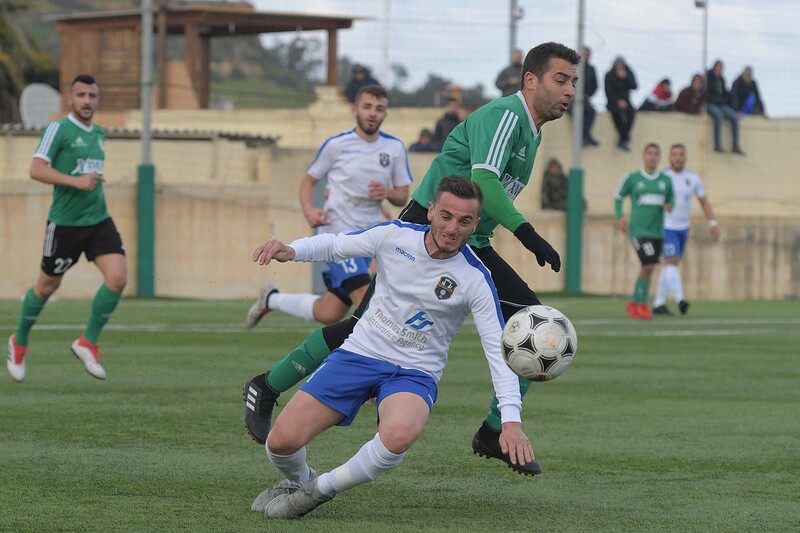 Sannat managed to administer their one goal lead with authority during the dying stages of the encounter and the closest that Xaghra went to level the score was in the first minute of stoppage time through a free kick by Johnny Camilleri that ended high.